Don't let the elements bother you. 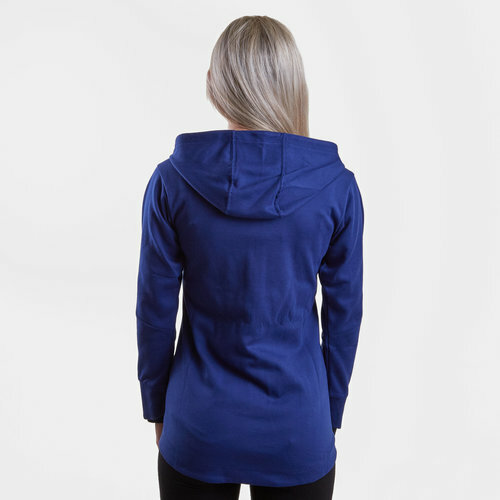 Face the outdoors in this Canterbury Vaposhield Ladies Full Zip Hooded Sweat in Blueprint. 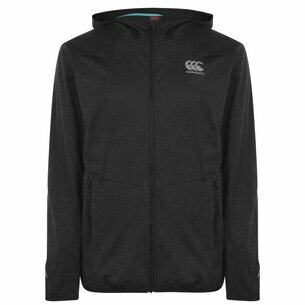 Canterbury have started that this is their best zip up hoody yet from their training range. 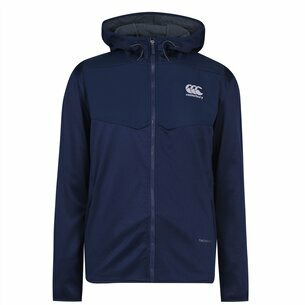 It comes made from double jersey fabric and uses Vaposhield Water Repellency Technology to keep the wearer warm and dry. The quick-drying properties ensure heat retention when those temperatures drop whilst the inner stretch cuffs prevent any chills up the arms. 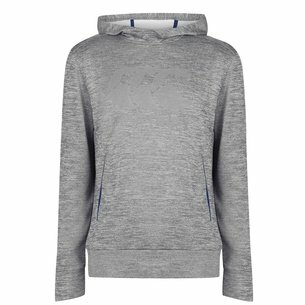 This hoody has been designed with ergonomic pockets to allow for storing valuables away or protecting your hands from the chill.